Which First Lady Was a Photographer? Jacqueline Kennedy Was a Lot of Things Including an Aspiring Photographer! In our country's history, there have been many First Ladies with a passionate hobby, interest or past time. So which First Lady was a photographer? The answer is Jacqueline Kennedy Onassis. Here, we take a brief look at her life, and how her interest in photography was closely related to the role she would hold later. Jaqueline Kennedy Onassis (aka. 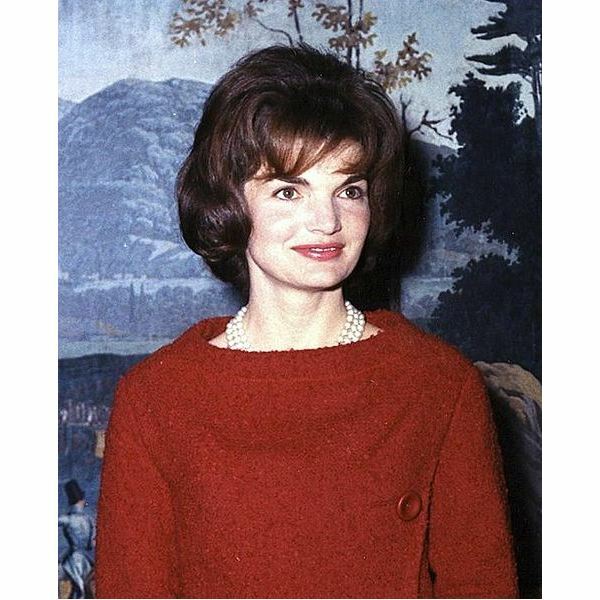 Jacqueline Lee Bouvier Kennedy Onassis) was born in Southampton, New York to parents of Irish and French decent. Her parents had a troubled marriage. and following their divorce in 1940, Jackie split her time between her mother's homes in Virginia and Rhode Island, and her father's homes in New York City and Long Island, NY. At a very young age Jackie developed a love for horses. She became an accomplished equestrian, and horse-riding became a life-long passion. It is said that for Jackie, horses were her "first-love". Starting in 1947, Jackie attended college at Vassar College in New York, the University of Grenoble and Sorbonne in France. and finally returned to the United States to complete her degree at The George Washington University. Jackie graduated in 1951 with a bachelor of arts degree, and following a summer trip through Europe, was hired as an inquiring photographer by the Washington Times-Herald. Jackie was hired by the Washington Times-Herald to hit the streets of Washington and pose interesting questions to random passersbys. She would also take a photograph to accompany the answers in the Times-Herald. By all accounts, Jackie seemed to enjoy this position, and over time she began posing more and more questions with a political focus. This was due largely to her interest in politics, and the political acquaintances she made in her travels. In September of 1953, Jackie married then US Senator, John F Kennedy. Her focus quickly changed from her own career aspirations – including photography – to starting a family and supporting her husband in his political aspirations. When JFK announced his intention to run for President of the United States in 1960, Jackie had every intention of playing a big role in her husband's campaign. However, shortly after the start of JFK's campaign she learned she was pregnant. 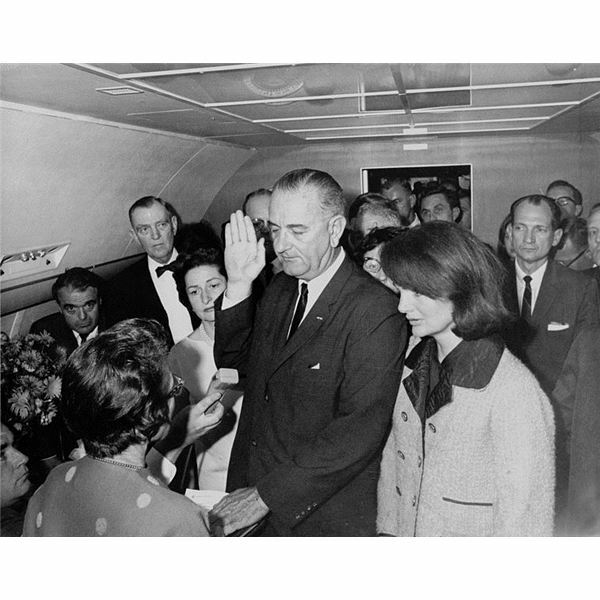 This news changed her plans radically, and due to difficult pregnancies in the past, the news forced Jackie to take a much less "public" role in her husband's candidacy. She spent most of her time giving interviews in print, answering political correspondence, and writing a weekly newspaper column called "Campaign Wife." She made public appearances with JFK when her health allowed. Jackie was one of the youngest and most popular First Ladies in US history. After JFK narrowly beat Richard Nixon in the 1960 election the First Lady quickly started making her mark on the White House. She became a mother, started organizing social events and eventually took on the huge job of restoring the White House. All eyes were on the First Lady, and while she made herself available to the press and didn't mind giving interviews, she also did her best to keep her children out of the spotlight. Jackie also didn't take long to make her mark artistically. She was well-known for her choice of clothes, as well as her love of artists. Often, Jackie would invite artists to the White House social events to mingle with various politicians from around the world. At this point in her life, Jackie was in front of the camera, as opposed to behind it, but her love of art and artistic vision was still very much present. The day JFK was assassinated, Jackie was wearing a typically bright and stylish pink suit which she later refused to take off – even though it would become stained in her husband's blood. As Johnson was sworn in, she stood there in her blood-stained pink suit and was rumored as saying "Let them see what they did to John" when it was suggested that she change. Following the death of her husband Jackie was once again in front of the camera, with all eyes in America on her. She gave an interview a week after the assassination to Life Magazine where she compared the Kennedy years to King Arthur's mythical Camelot. Even in her darkest moments, Jackie still had a flair for the arts. Jackie spent the years following the assassination of JFK and his brother Robert fearing for the lives of her children, and was rumored to have said, "If they're killing Kennedy's… my children are targets… I want out of this country." Jackie then married Aristotle Onassis, who was able to provide the privacy and protection for her children she so desired. In 1975, Jackie became a widow for the second time, and took it upon herself to find work that would be meaningful to her. This took the form of being an editor at VIking Press, and later Doubleday. Did Jackie ever consider picking up a camera and getting back into photography in her later years? I guess we'll never know. One thing we do know, however, is that Jackie was a strong, loyal and patriotic women with a great love of the arts. [Quote] "If they're killing Kennedy's… my children are targets… I want out of this country" – Seely, Katherine (July 19, 1999). "John F. Kennedy Jr., Heir to a Formidable Dynasty". The New York Times. Retrieved September 1, 2011.